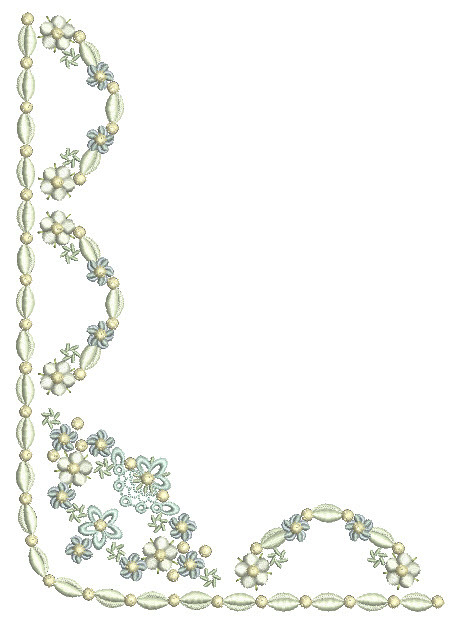 I was putting the finishing touches to my latest embroidery designs for Sweet Innocence 3 when I received an interesting email regarding one of the designs! In creating the last few designs in this set I was keen to create a corner as they work perfectly in so many projects and also look grand mirror imaged against themselves, as shown below. 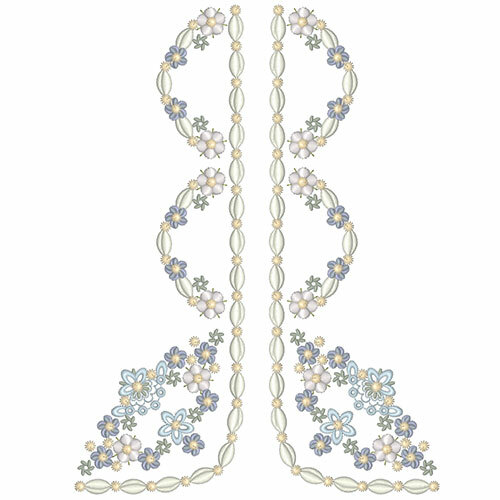 I think it is the bridal dressmaker in me that loves to create such designs which I can see embroidered up the centre back of a wedding dress! The email asked about adding to this design as the elements are not available in any previous sets in this collection. I welcomed this request and was delighted to make the necessary design which will be available soon in the form of an additional freebie in the collection. I also reopened the original design and developed a fuller corner for the next size of designs in the collection. Sweet Innocence 3 will be available later today, 13th November 2015 along with the new freebie. The final sets in this collection for 12″ by 8″ and 14.2″ by 6″ hoops will be available later this month. Do share your ideas and suggestions regarding my designs as they are developed. If you are a member of my Embroidery group you should have been given access to the Members area where I upload images of my forthcoming designs partly so you can see what is coming but also to invite comments as this lady did! 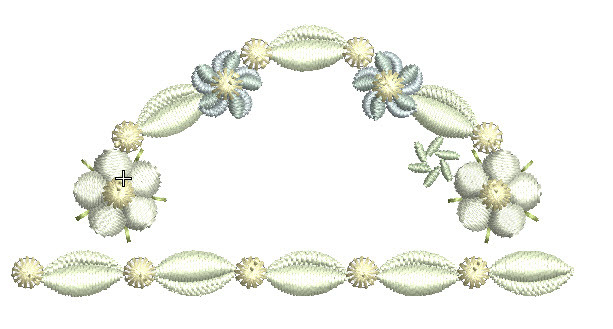 This entry was posted in Announcements, Discussing machine embroidery, New Designs and tagged machine embroidery. Bookmark the permalink.